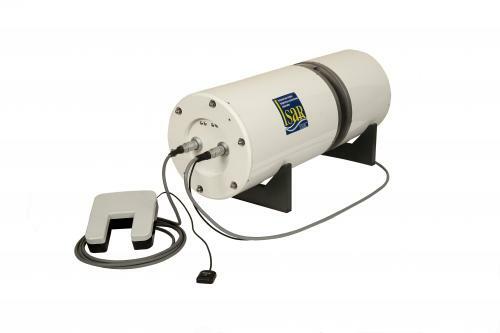 The Infrared Sea surface temperature Autonomous Radiometer (ISAR) has been developed to provide accurate and reliable measurements of the radiative sea surface temperature (SSTskin) to an accuracy of ±0.1 K without the need of operator intervention. Infrared emission from the sea surface and atmosphere are measured in the spectral waveband 9.8-11 µm. The ISAR system has been specifically designed to address the problem of sea-water spray or rain, which without adequate environmental protection of delicate infrared radiometer fore-optics, could introduce significant errors in the SSTSkin measurement. Furthermore it provides a self calibrating infra red radiometer system that can operate autonomously for extended periods when deployed from a ship of opportunity (SOO).